The largest national park in Madhya Pradesh, Kanha National Park and Tiger Reserve was an inspiration behind the Jungle Book, a popular novel of Rudyard Kipling. Snuggled amid the lush Vindhyan Ranges, this national pork is a treasure house of a vast variety of flora and fauna. Elephant Safari in Kanha National Park is surely one of the best ways to have a rendezvous with the varied wildlife of Kanha. Elephant safari tours in Kanha Tiger Reserve let you explore the rich biodiversity and thick forested areas of Teak and Sal. 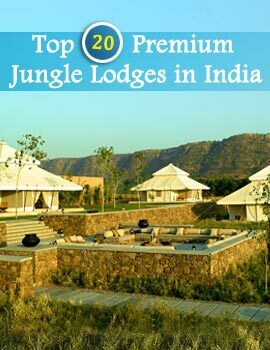 The wildlife here is varied too and comprises of the big cats (tiger), the Indian wild dog, barking deer and Indian bison or gaur, Indian fox, sloth bear, striped hyena, jungle cat, panther, mouse deer and Barasinghas, four-horned antelope and more. While riding an elephant’s back, do not forget to click their photographs. Kanha National Park has four safari zones- Kanha, Mukki, Kisli and Saand elephant safari is not only the best way to spot wildlife but it is one of the prime attractions too. 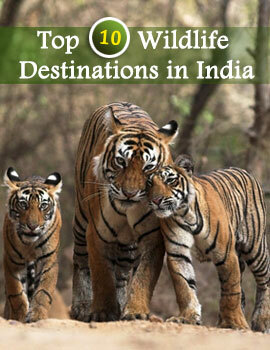 You can opt for a full-day safari or tiger shows. An elephant can access even those parts of a jungle where a jeep cannot reach. An elephant ride for spotting wildlife is popular amid wildlife enthusiasts, educational groups, documentary makers, as well as wildlife photographers. Moreover, they are less noisy, cause no pollution and are safer too! An elephant safari is an easy and cheaper option to partake in Tiger Show program, which is only organized during Morning safari. Once the trackers successfully track a tiger, they take around 3 to 4 visitors, near the tiger on an elephant for around 5-10 minutes. This is a paid service and the fee is to be given to forest department official. The second type of safari is costly and is for a longer duration also. These full-day safaris require a prior booking and need a written permission from the Field Director of Kanha National Park. It is recommended that permission is taken well in advance, at least a month before. Area of the safari, purpose of safari, photography or education tour etc. are some of the considerations on which a permission for a safari is given. Fee for Safari Booking is given in advance and comprises of a security amount that is to be refunded later. Now, on the decided dates, you can enjoy the elephant safari. Elephant Safari at Kanha is available at INR 500 per person (approx). Children below 5 years of age are free. Safari is available in 2-seater and 4-seater options. The duration of Elephant Safari at Kanha is around 1-2 hours.